In the summer term of 2017, all children in Years 2 and 6 will take their end of Key Stage tests - also known as SATs. This will be the second year of the new assessments. This reflects the new National Curriculum. Please take a look at the information on this page to help you understand the arrangements. Parents should ensure children are in school for the tests daily. Tests take place throughout May. The reading test will be a single paper with questions based on roughly one 800-word text and two passages of 300 words. Your child will have one hour, including reading time, to complete the test. How will the end of Key Stage tests be graded? Question: What is a standardised score? Answer: A pupil’s scaled score will be based on their raw score. The raw score is the total number of marks a pupil receives in a test, based on the number of questions they answered correctly. The pupil’s raw score will be translated into a scaled score using a conversion table. A pupil who achieves the national standard will have demonstrated sufficient knowledge in the areas assessed by the tests. This will mean that they are well placed to succeed in the next phase of their education. The materials published by the educational publisher CGP are usually useful and relevant and have been updated in line with the new KS2 tests. School is selling Maths, GPaS and Reading bundles for KS2 at £6 per bundle. Payments can be made at the office or via Gateway. 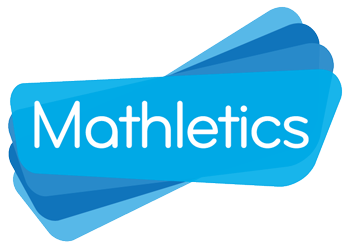 The school purchases a subscription to mathletics for every child. You can use this platform to refine your skills about a particular topic. The old system of national curriculum levels is now no longer used, after the department of education abolished it in Summer 2015. Instead, children will be given standardised scores. The scores will range from 80 to 130, with 100 being the national expected level. The School run website offers resources and information about how to support your child's learning throughout primary school as well as in preparation for the Year 2 and Year 6 SATs tests. BBC Bitesize is a suite of internet activities related to English, Mathematics and Science. Children can play games, download worksheets or watch animations to help them learn new skills.